The world’s first non-stop flight from the UK to Australia took off on Sunday 25 March from London Heathrow Airport at 13.15, arriving in Perth at 13.00 the next day. The new daily non-stop flights are being operated by Australia’s national carrier Qantas, and use the new Boeing 787-9. The 14,498-kilometre service is the first commercial service to directly link Australia with Europe. With an enhanced cabin design, the Dreamliner also features turbulence dampening technology, improved air quality to reduce jetlag and 65 per cent larger windows to give passengers an increased sense of space. The B787-9 features the airline’s next-generation seating across Economy, Premium Economy and Business Class. What used to take four days and seven stops in 1947 now takes a single hop, with the service transporting Brits to Australia’s sunniest city in just 17 hours. 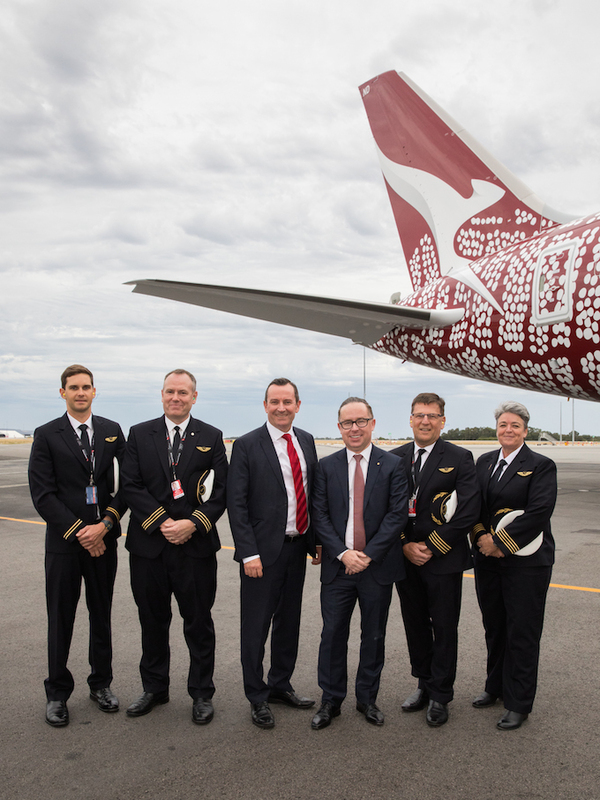 The new flight is expected to deliver a tourism boost to Perth and Western Australia, and come at a time when the city has never looked so appealing. Since 2012, 25 new or redeveloped hotels have opened in and around Perth, and by 2020, a further 14 new or redeveloped hotels will come online, including major players such as The Westin, QT, Doubletree by Hilton and the Ritz-Carlton. Other developments, such as the glittering waterfront Elizabeth Quay development and several new bars, restaurants and new cultural and entertainment precincts, have flourished and transformed the city. Paul Papalia, Western Australia’s Tourism Minister, said: “The direct flights have the potential to change the way people travel between Europe and Australia and give us the opportunity to sell Perth and Western Australia as the place to start a holiday in Australia. “Western Australia boasts stunning landscapes, unique wildlife, flawless beaches, wonderful wine regions, and endless sunshine and with the launch of these historic new flights it has never been easier for people from the UK to start their Australian adventure.